The holiday season is officially upon us, filled with family, friends, and lots of food! 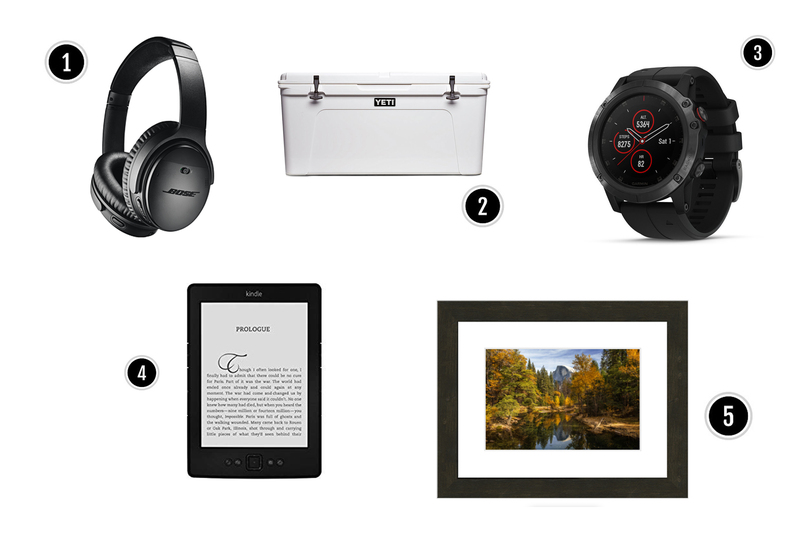 Inevitably, we find ourselves in search of the perfect gift, and if you’re like us, that can often be a challenge. 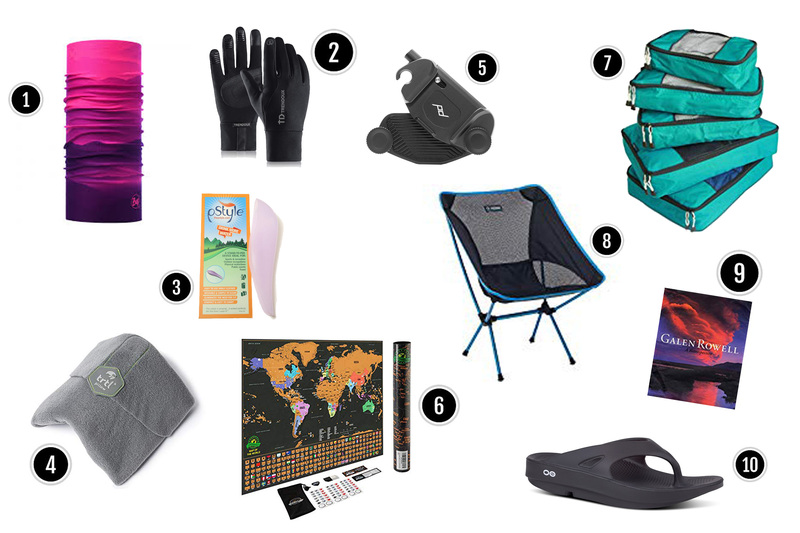 This year, we decided to put together a list of some of our favorite items that we love to use for our adventures. We hope you find something useful and if you have any tips, we would be excited to hear about them. 1. Australian Gold Tinted Face Sunscreen: I recently discovered the magic of tinted sunscreens. If you hate the white film that most sunscreens leave behind as you try to rub it into your skin, this will be you new favorite product, and you’ll want to give it as a gift to everyone you know. 2. 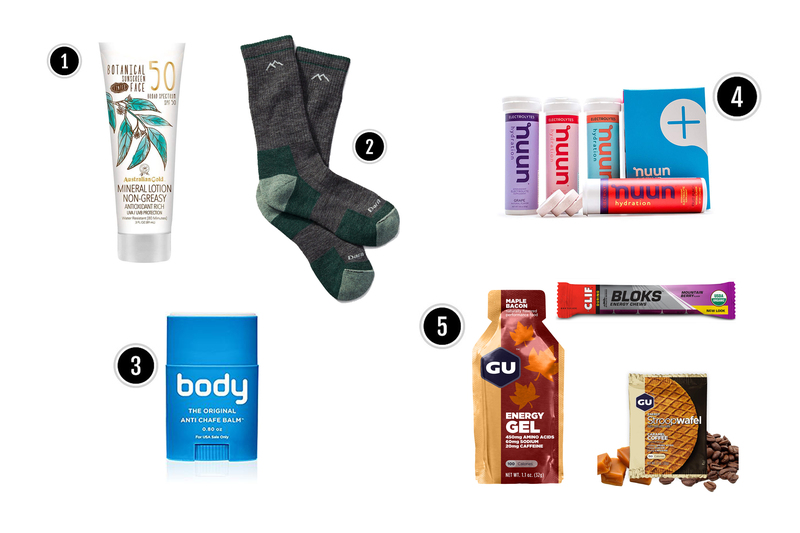 Wool Socks: An accessory that you can never own too many of (Darn Tough, Smartwool). 3. Body Glide: This stuff works wonders for anyone not blessed with a thigh gap. I use it anytime I wear hiking pants, and it has even saved my at home on those rare occasions that I wear a dress. 4. Nuun Electrolyte Replacement Tabs: Awesome for anyone who likes to go backpacking or on longer day hikes. Brian and I often throw a tablet, or two, into our water bladders to help keep us going. 5. Snacks ( Gu, Shot Blocks, Stroopwafels): We go through these like hotcakes, so it’s always nice when Santa leaves a few in our stocking. 1. Neck Gaiters (Buff, Turtle Fur): Chances are that the person you are shopping for already has one of these, or both, but it’s always nice to have some variety. 2. Gloves: I swear I lose a glove at least once a year, so I could always use an extra pair, and I wouldn’t be surprised if the outdoor enthusiast in your life could too. These touch screen gloves are nice because they allow you to use your phone, and I also like these Freehands that are designed for photographers. 3. PStyle: This is the perfect, practical gift for a lady hiker, and it will have you both laughing as they tear away the wrapping paper. These handy devices allow you to pee while standing, which is something that has made my time in the woods much easier. 4. Trtl Travel Pillow:This fella is a favorite of mine, and I love that it doesn’t take up as much space in your luggage as a traditional travel pillow. 6. National Park or World Scratch off Map: A fun way for to keep track of where you have been. 7. Packing Cubes: These are AMAZING! Definitely one of those things you don’t think you need until you have them, and then you wonder how you survived for so long without them. They help Brian and I stay organized when traveling, which is especially helpful when we are going on shorter trips and share a suitcase. 8. Backpacking Chairs: A luxury item that your friend doesn’t have yet, but doesn’t know what they are missing out on. These are great if you don’t mind carrying the extra weight, but they are also nice to have on roadtrips, or car camping excursions since they don’t take up much space. 9. Coffee Table Book: A classic gift that you can’t go wrong with. Some of my favorites include National Geographic: The Covers and Galen Rowell: A Retrospective. 10. Oofos Recovery Sandals: I initially bought these to help with a bout of plantar fasciitis, but I love them so much that I wear them all the time now. I even got Brian hooked! They are especially heavenly to slip on after a long hike, and I can’t recommend them enough to everyone (they also come in a slide version). 1. Wireless Headphones: If you need a gift for someone who travels a lot, spoil them with a nice pair of wireless headphones. We love our Bose Noise Cancelling Wireless Headphones! 2. YETI Cooler: The best, but the most expensive ice chests out there. 3. Smart Watch: Brian loves his Garmin Fenix 5X,which sports awesome battery life and can track any adventure we take. 4. Kindle: A great idea for bookworms who love to backpack or travel. 5. 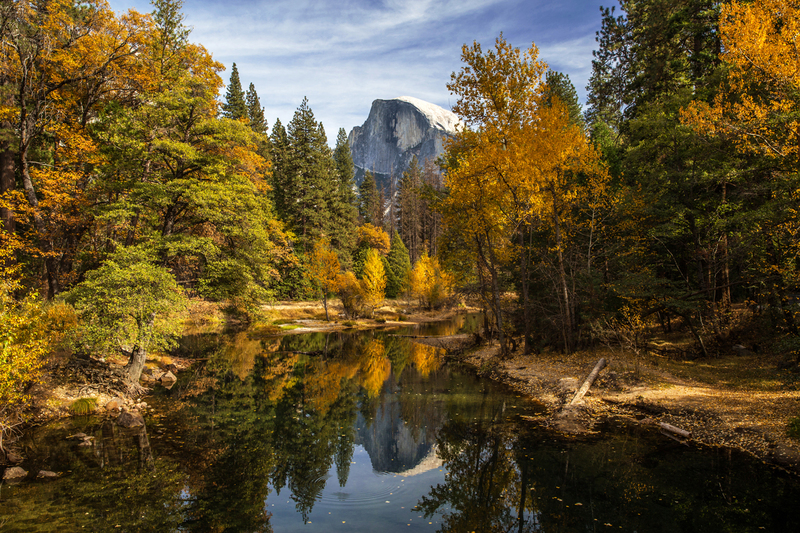 Fine Art Landscape Print: Stop by my store to see what prints are available for immediate order, or if you have a favorite from my portfolio or Instagram, or size request, feel free to reach out! Gift Card! 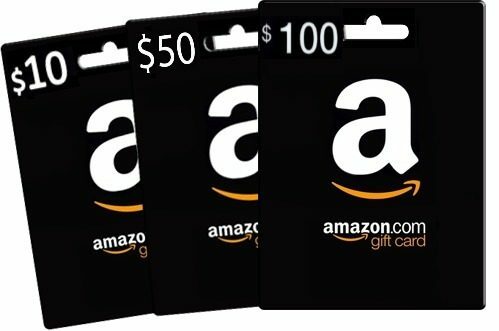 When in doubt, it is always nice to receive an Amazon Gift Card. If you are looking for more gift ideas for photographers, check the post I wrote about my travel and landscape photography gear. Disclaimer: Some of the links in this post are affiliate links. This means that if you place an order after clicking through those links, Brian and I get a small commission (this does not cost you anything extra!) This is not a sponsored post, all of the products I mention using were purchased by me, and all opinions are my own. 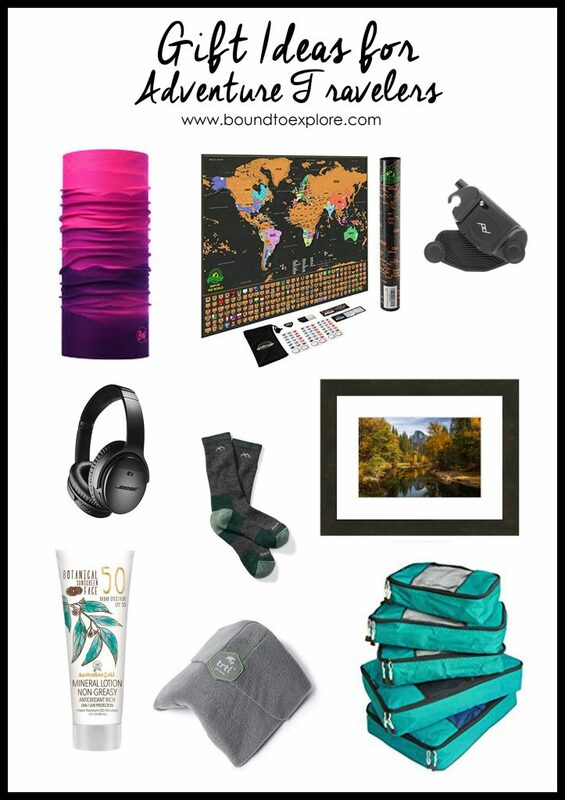 Gift ideas for people who travel, gift ideas for people who hike, gift ideas for adventure travel, gift ideas under $50, gift ideas under $25, stocking stuffer gift ideas. I absolutely love those Nuun tablets, even for high altitude hikes too! I would second them as an awesome gift, but I think I’m going to get the scratch off maps for my adventure friend. Thanks for stopping by Angelica! Those maps are so much fun! I hope your friend enjoys the gift! What a great list. I was actually freaking about what to get my husband for christmas. 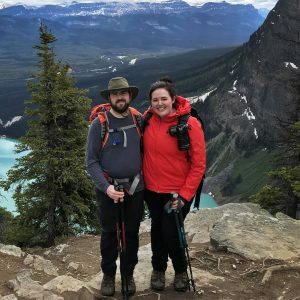 He is an ultra light hiker and buys everything he wants as soon as he thinks of it making him a hard person to buy for. I clicked through to purchase the National Parks map but realised its US not AUS and we’ve only been to Hawaii Volcanoes NP so wouldn’t be able to scratch off many haha. I’m going to search amazon and see if I can find an Aussie version. Thanks for the feedback Suzy! Happy shopping!